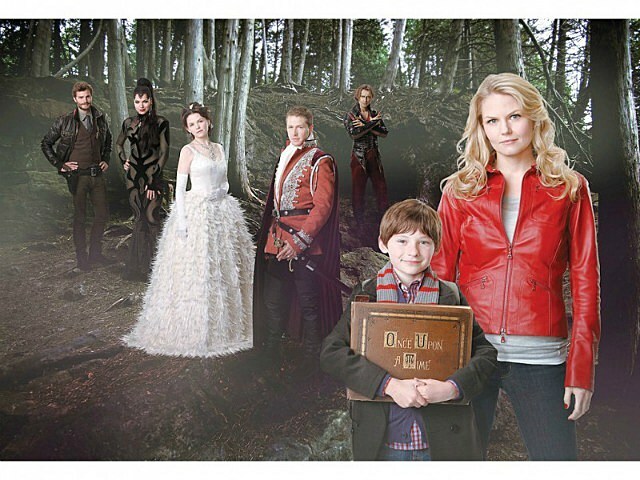 ABC's 'Once Upon a Time' debuted to unexpectedly strong numbers last night, delivering the highest ratings for any new drama series this season and bringing ABC a much-needed hit after the quick cancellation of its heavily hyped 'Charlie's Angels' reboot. The show, which follows the real-world adventures of classic characters such as Snow White, Prince Charming and Pinocchio, is one of two new series (the other being NBC's upcoming 'Grimm') that take inspiration from fairy tales. As it turns out, these two buzzworthy shows are part of a long, somewhat eccentric TV tradition. Here are five other shows, from comedies to dramas, that cribbed from the Brothers Grimm first. One of Showtime's first hit shows, Shelley Duvall's long-running series -- a mainstay on the cable network's schedule from 1982-87 -- is one of the more successful examples of the genre. Perhaps 'Faerie Tale Theatre' did so well because it didn't bother trying to offer more "believable" versions of its stories -- although it also didn't hurt that Duvall was able to line up talented stars and directors like Robin Williams, Paul Reubens (who played Pinocchio), Tim Burton, Francis Ford Coppola and pretty much everyone who starred on a sitcom during the mid '80s. 'Once Upon a Time' isn't the first series to send Snow White to the modern world. In 1987, ABC's 'The Charmings' did the same thing -- only instead of using the classic Snow White tale as the starting point for mystical drama and cool special effects, it acted as the framework for a sitcom about Snow and Prince Charming waking up in suburban L.A. after a thousand-year nap. The show didn't last long, but it's hard to argue with Paul Winfield as the Magic Mirror. Dig those opening credits! The secret love between a beautiful DA (Linda Hamilton) and a sewer-dwelling man-beast (Ron Perlman) doesn't sound like the best place to start for great television. But for three seasons in the late '80s, CBS' 'Beauty and the Beast' proved the exception to the rule, earning the love of an impassioned fanbase (and 24 Emmy nominations along the way) and an enduring cult following. Of course, the network is currently prepping a reboot to air on the CW. Will fans of the original return?